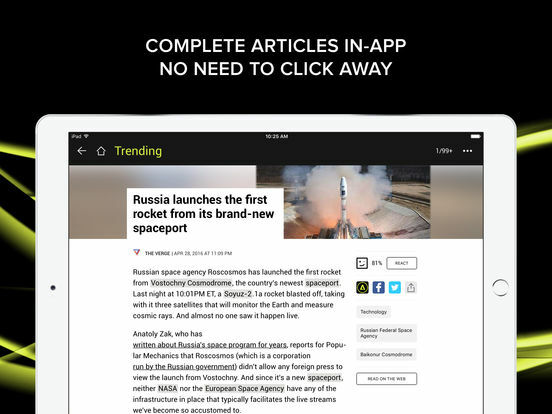 The #1 tech news app - offering the most comprehensive daily breaking news coverage from nearly 1,500 licensed & trusted news sources worldwide. 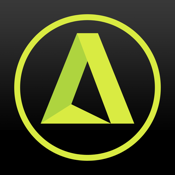 "Brilliant app for keeping you up to date with all the latest news from top providers. 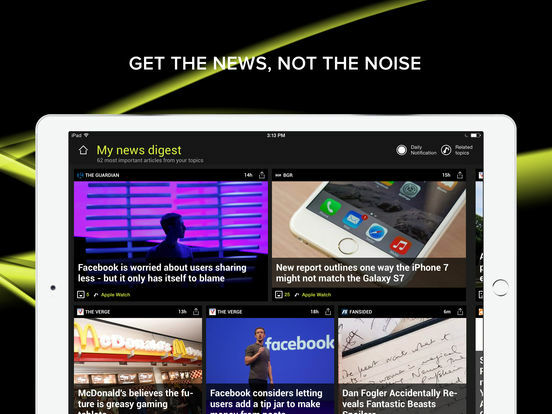 A techno geek’s Bible of information"
"Wow, my top tech news app..."
"A must have whether you're a techie or not! Always bang up to date and so many articles that there’s not enough time in the day. Fantastic app! " "The one stop shop for all tech news!" 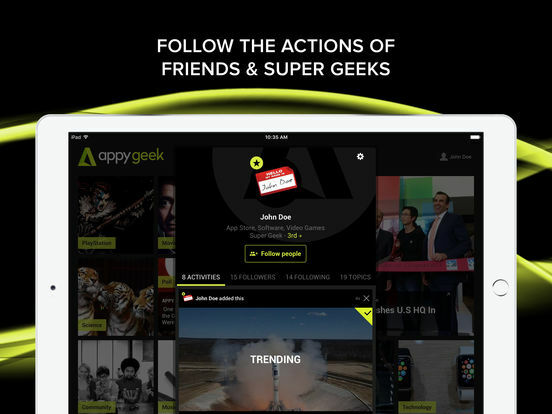 Appy Geek is an app by Mobiles Republic and strives to keep everyone up to date on the world of technology. Staying up-to-date on the latest gadget news and happenings isn’t always easy considering technology and trends seem to be changing on a constant basis. Are you the type who is always on the lookout for the next best, coolest, and fun new gadget?